Tags: Frock, Ivory, Lehenga, Light Peach, Walima & Second Day. Ivory white front open heavy bridal gown and lehenga. Gown has been adorned with embellished bodice and border. Large motifs implemented before hemline. 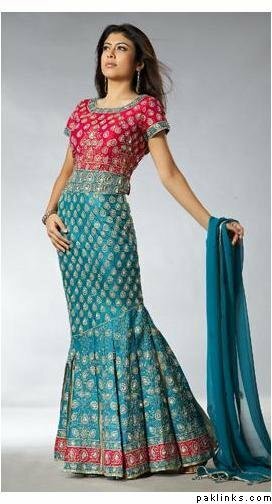 Embellished lehenga. Double dupatta red and ivory white having four sided embroidered dupatta.